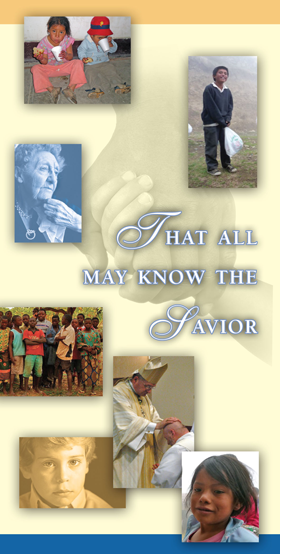 When you make a generous gift to the Society of the Divine Savior, you become a friend not only to us, but a benefactor to the many individuals and families whose lives are touched through your ministries. This is why we call you a "Salvatorian co-worker." There are basically two kinds of gifts that you may offer. One is a gift you make for now, also known as a current gift. The other is a gift you make for later, which many people refer to as a deferred gift. You may phone the Salvatorian Center, toll free, at 1-800-254-4902, with any questions. Print our Planned Giving brochure.